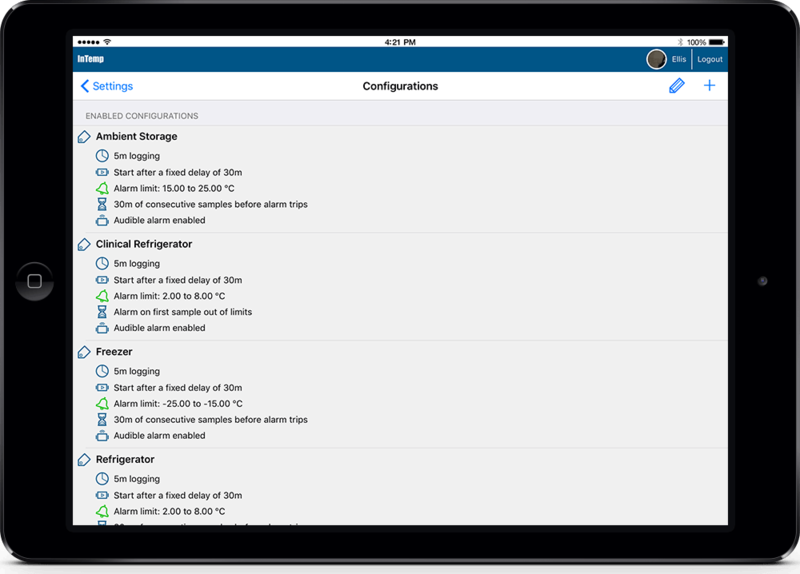 The InTemp CX400 Loggers monitor temperatures in Refrigerators, Freezers and other temperature controlled environments with unparalleled ease. 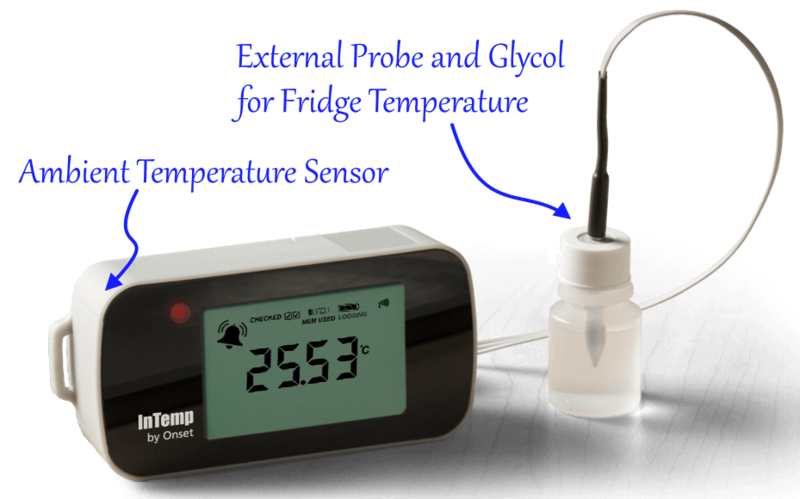 InTemp CX402-TXM (with Probe only) data loggers monitor temperatures in refrigerators, freezers and other temperature-controlled environments. 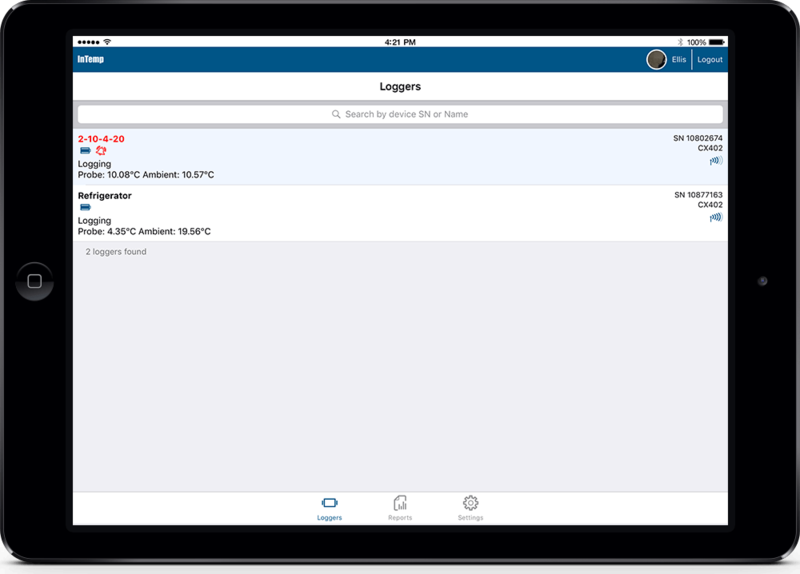 The loggers communicate wirelessly via Bluetooth Low Energy to mobile devices. 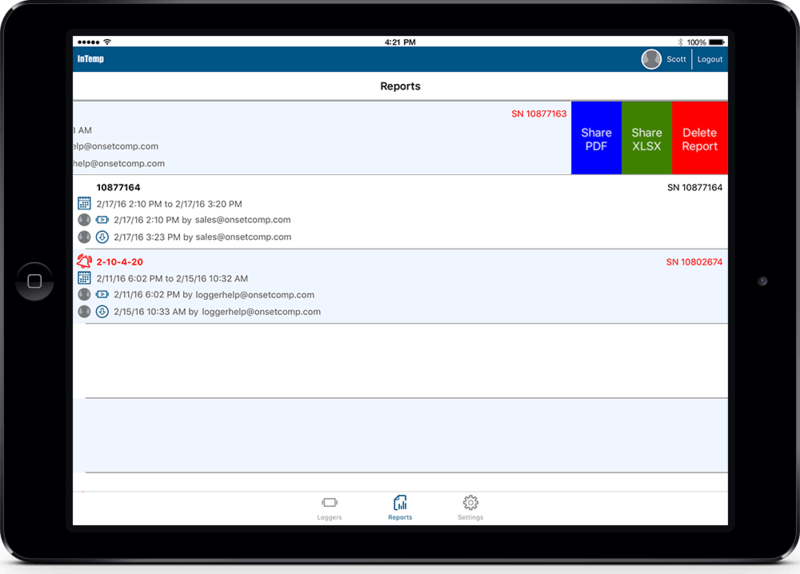 Using the InTemp app, you can easily view data, check logger status, set alarms, and create and share secure PDF reports for streamlined reporting and regulatory compliance. 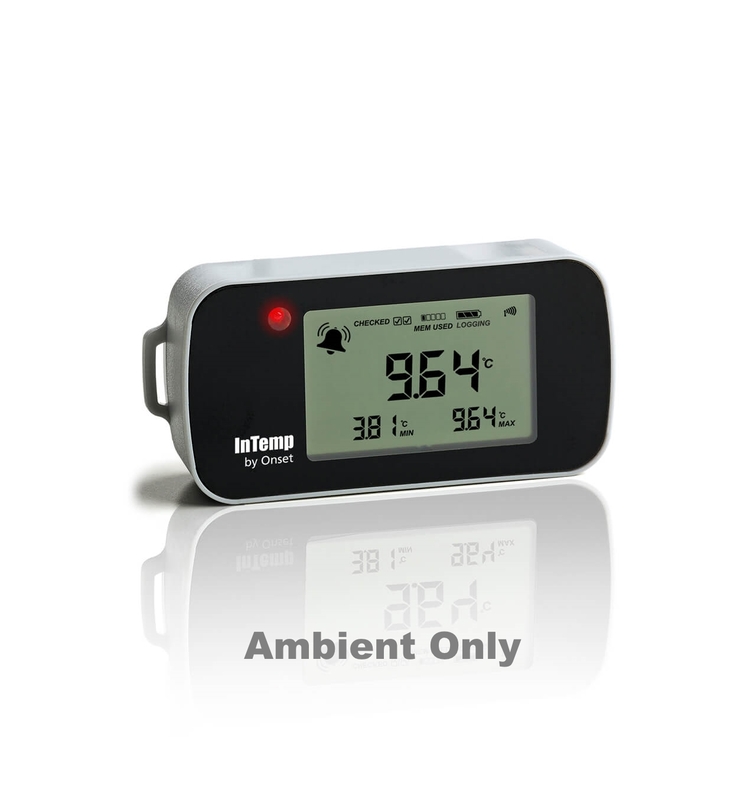 All loggers feature a built-in LCD display to view current and daily min and max temperatures, advanced audible and visual alarm capabilities for notification of temperature excursions, an internal sensor for ambient temperature monitoring, and a NIST Certification of Calibration. 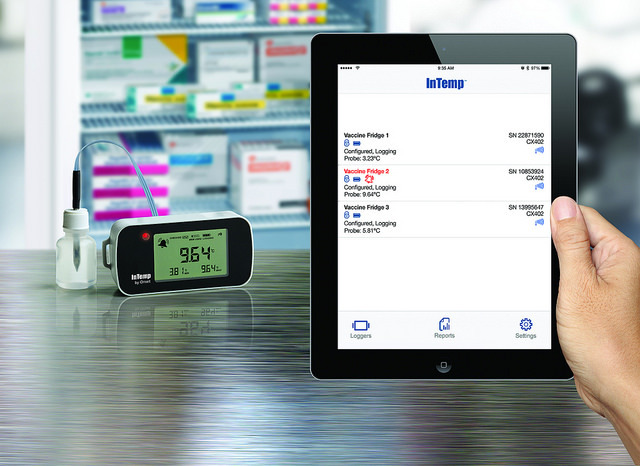 Important: The InTemp CX Series of data loggers require the InTemp App and a compatible mobile device. 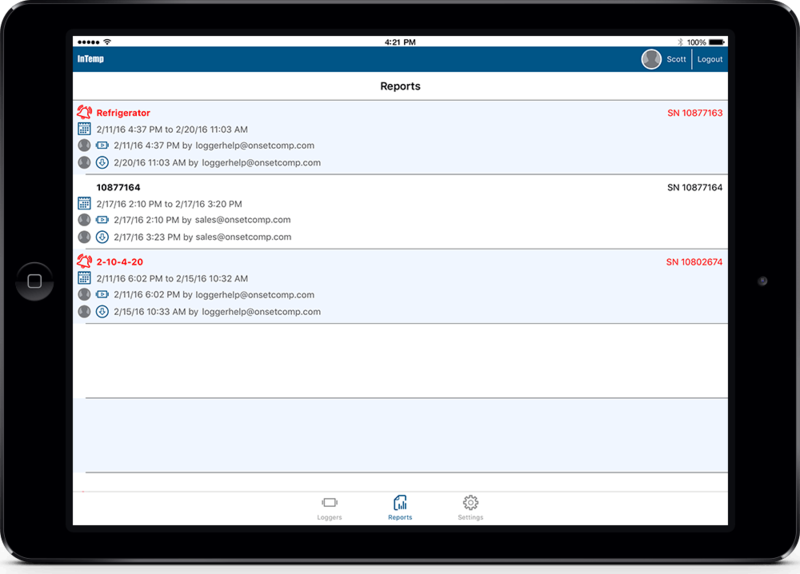 The InTemp App can be downloaded from the Apple App store or Google Play Store, search InTemp. 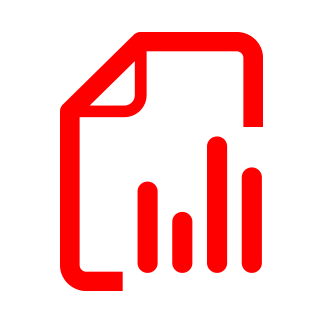 It's a free download. 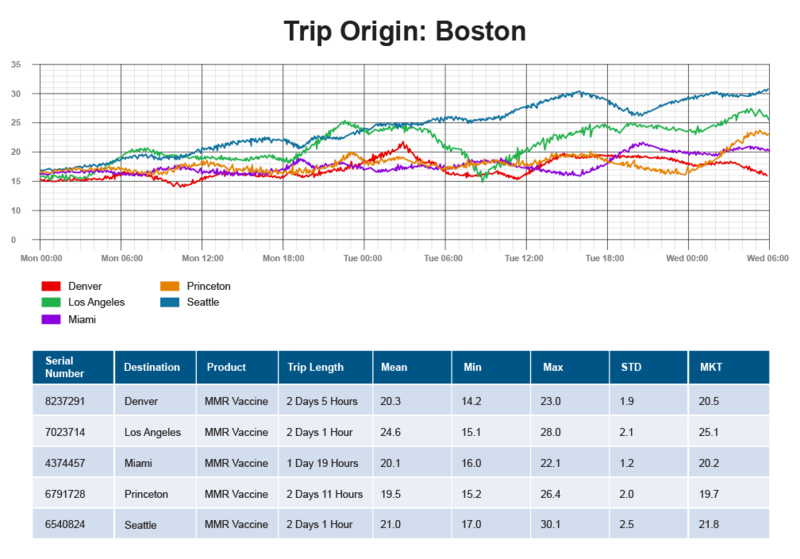 You will require a Tablet or Mobile Phone with iOS or Android operating system to use this logger. 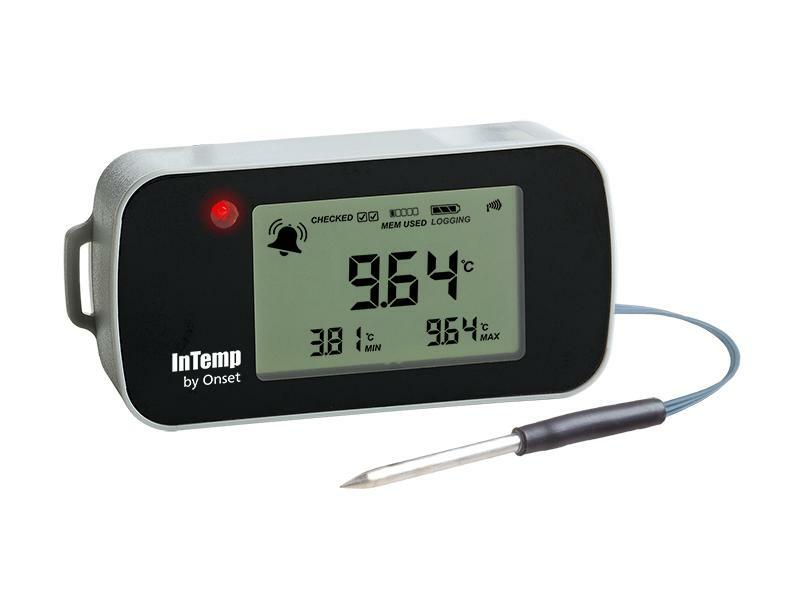 InTemp CX400 series loggers feature a large LCD display to make it easy to keep tabs on current and daily min and max temperatures throughout the day. 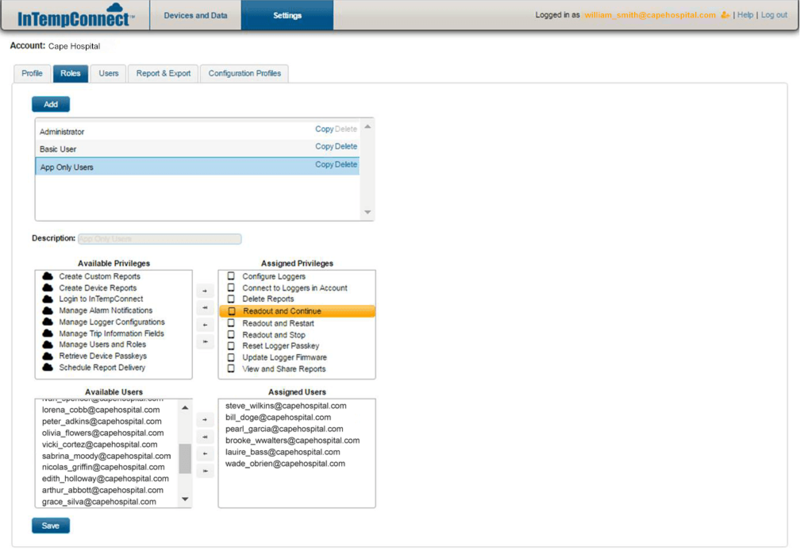 Everything is displayed at once- so there’s no need to toggle your way through a series of screens. 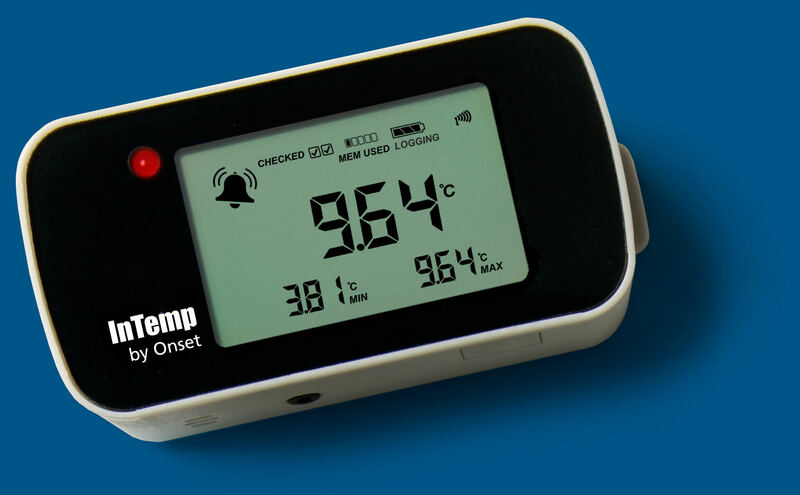 The LCD also makes your life easier by displaying check boxes when daily temperature checks are done, a visual alarm indicator if an excursion occurs, and ambient temperature readings. 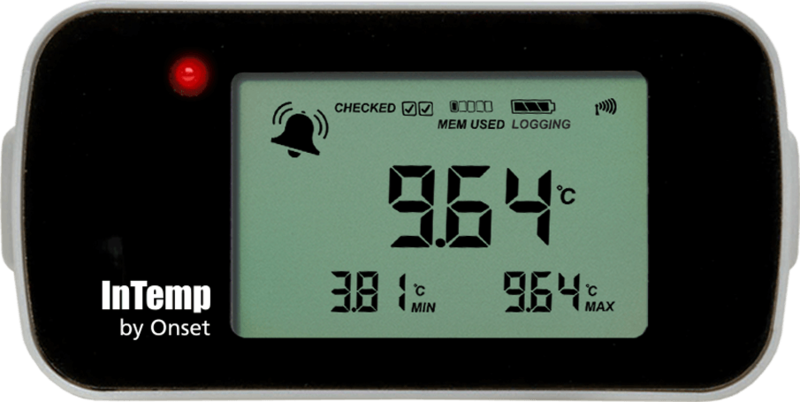 Because InTemp loggers require very little power to operate, they can monitor temperatures for up to a year without changing the batteries. 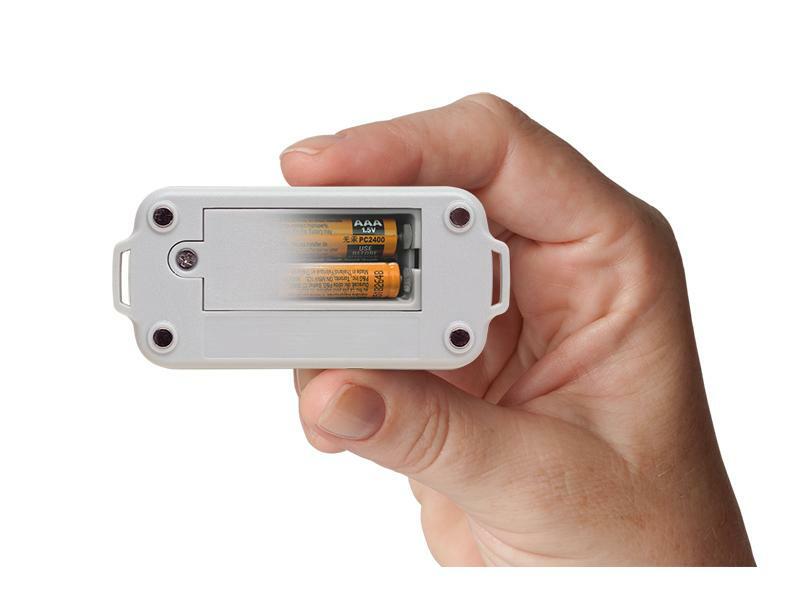 And, when they finally do wear down, you can replace them yourself with two AAA batteries. 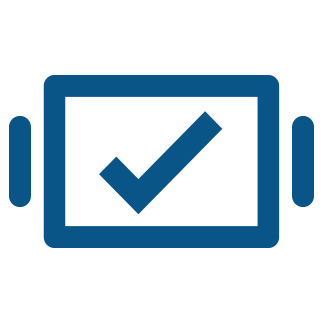 Battery power also reduces the risk of temperature data loss during power outages. 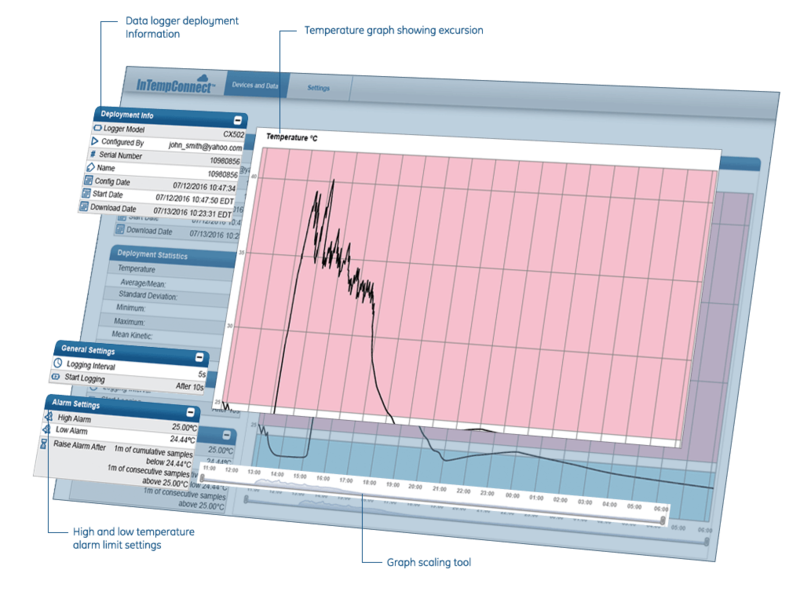 InTemp loggers come with a second, built­-in temperature sensor to track ambient temperatures. 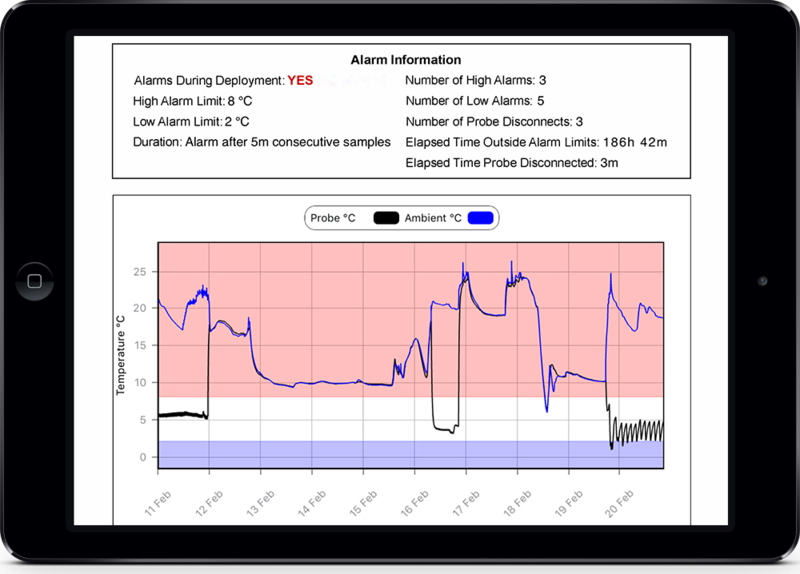 This eliminates having to buy a separate room temperature logger, and can provide useful information about room conditions during an excursion event. 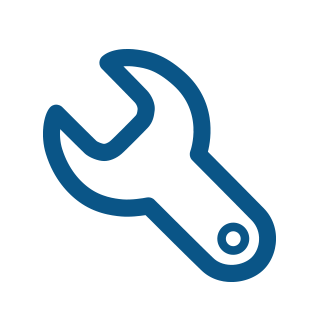 CX400 loggers combine the right set of features to optimize your process and make you more efficient. 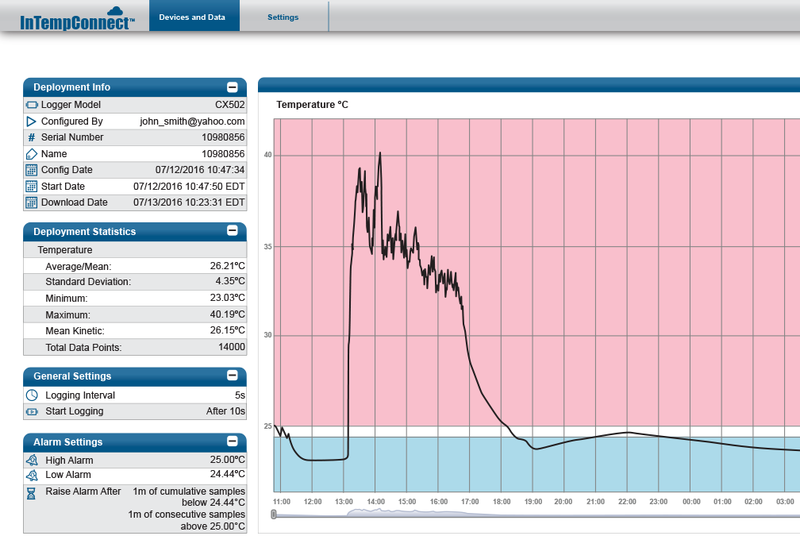 You can set up and readout InTemp loggers in seconds – all without a USB cable. 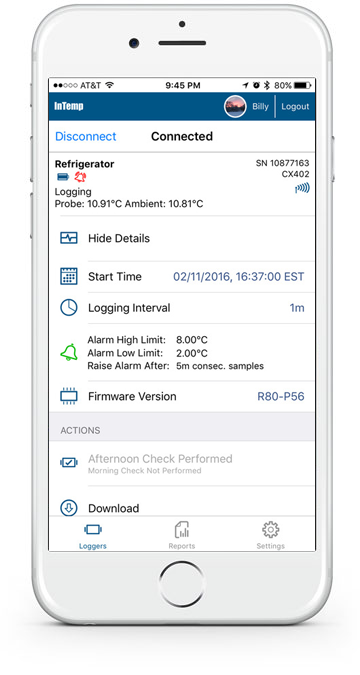 Plus, temperature and alarm state data are transmitted wirelessly via Bluetooth Low Energy (BLE) to your iOS or Android mobile device so you don’t need to remove the logger from its monitoring location. 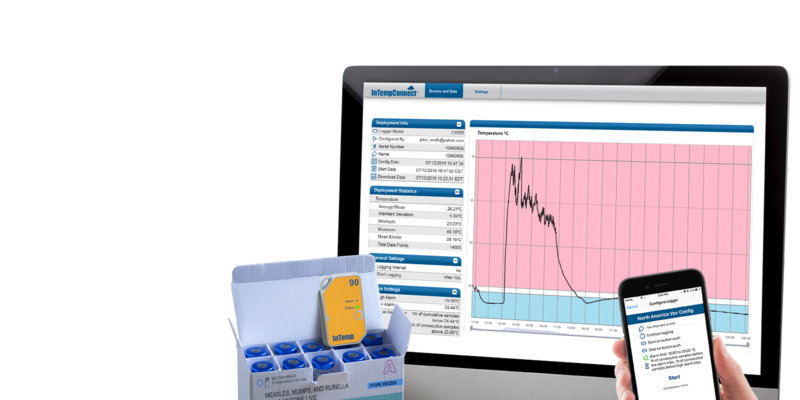 Data collection has never been this effortless. 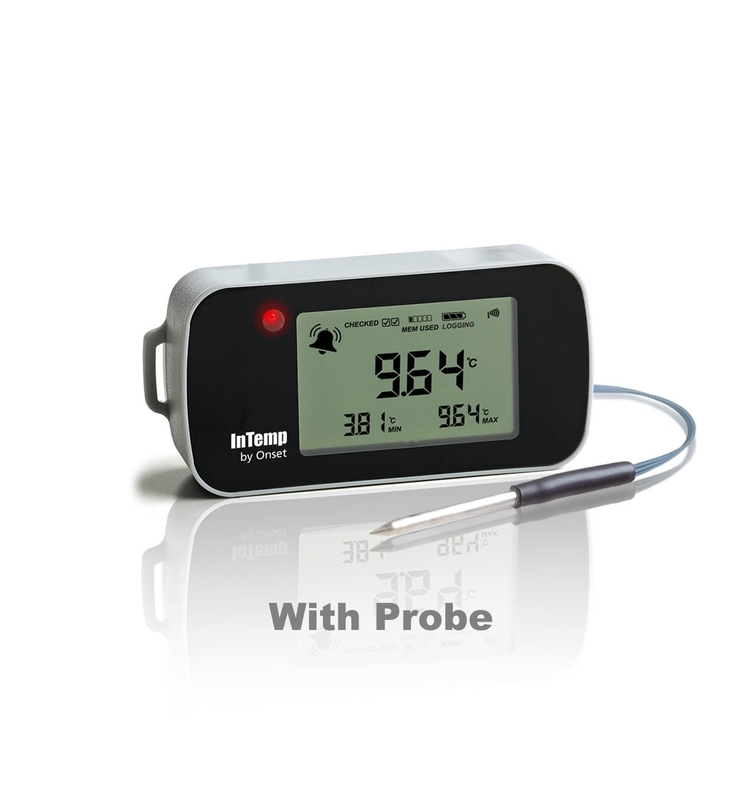 InTemp data loggers have an accuracy of +/­ 0.5 ºC and come with a NIST certificate of calibration. 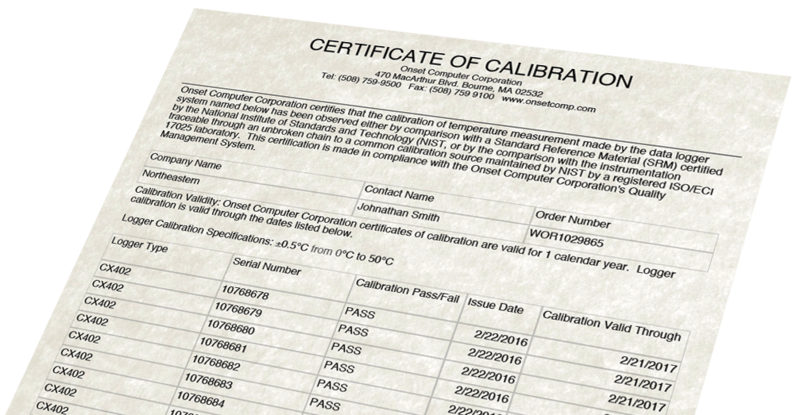 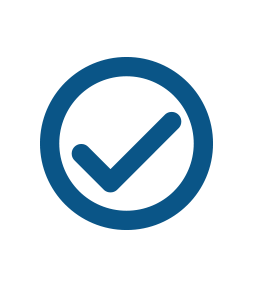 Advanced certificates of calibration are also available for applications requiring an ISO 17025 compliant certificate. 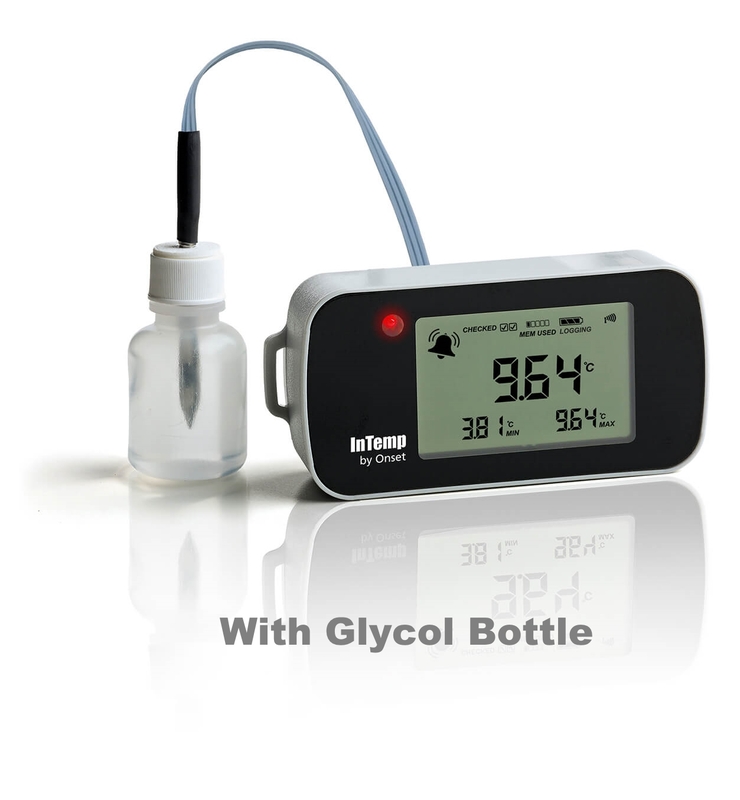 InTemp loggers provide advanced alarm capabilities to keep you notified of excursions or if the temperature sensor becomes detached. 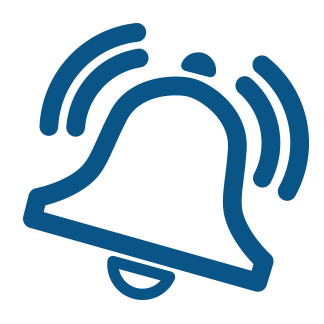 When an alarm trips, an LED on the logger's screen begins blinking, an alarm icon appears on the logger and in the InTemp app, and the logger starts beeping every 15 seconds until corrective action is taken.